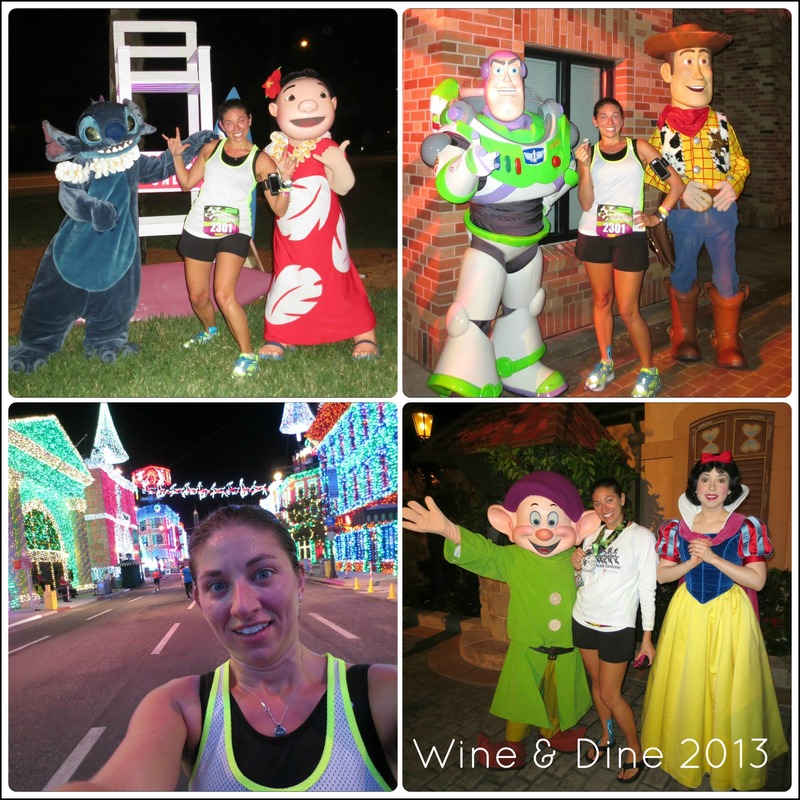 2015 runDisney Wine & Dine Half Marathon – I’ll be there! 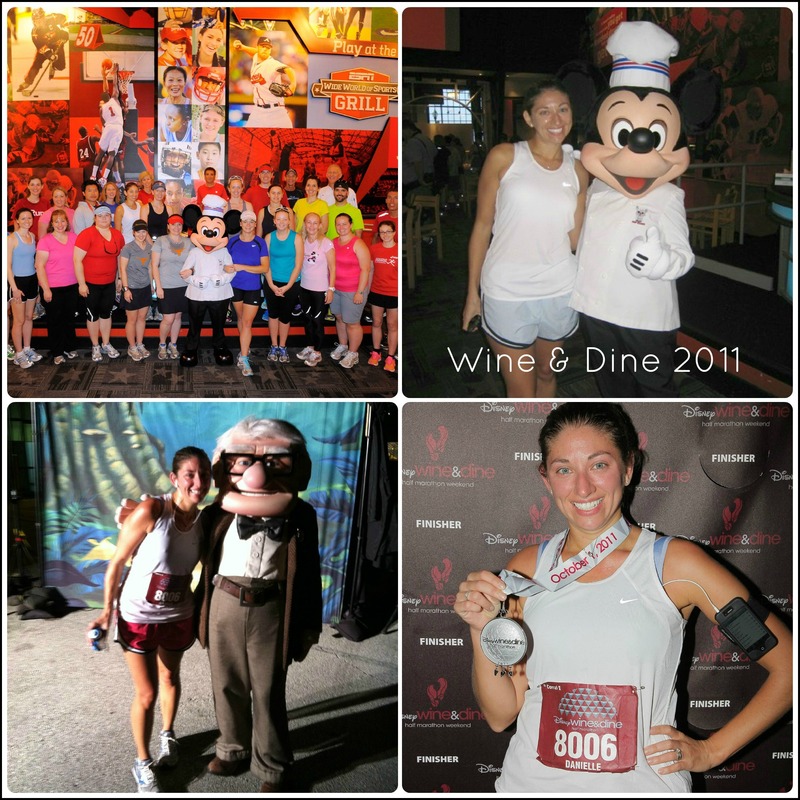 If you’ve been around Live Run Grow for awhile, you probably know that the runDisney Wine & Dine Half Marathon was my first race EVER and that I sort of consider it an anniversary. Back in 2011 I went from being a total non-runner to choosing this race as my goal while fundraising in memory of my friend Kerry who lost her battle with Leukemia and every year it’s a reminder of how far I’ve come and all the amazing friends I’ve made along the way (Wine & Dine 2011 is actually where I met Jenn, Daniel & Patrick who you’re probably familiar with from all my race photos!). I have to admit I REALLY love this race (running, food and wine?! What’s bad about that! ), so I made it a point to do my best to be in front of a computer when the AP/DVC early registration opened this week (I did have a moment of sticker shock when I saw the price, but I knew I’d regret not registering!) and fortunately I was able to get in (the early registration spots were gone in 18 minutes!). The best part is that this year Jason will be joining me! Because of his previous job in New York, Jason has never been able to come to Wine & Dine weekend or go to the Food & Wine Festival at all and I can’t wait to share it all with him! Do you have an anniversary race? Is there a race you love that you keep going back to? I’m so excited for you and Jason! He’s gonna have SOOOOOO MUCH FUN! …now if only I could convince Doug to A- Come to W&D and then B- Run W&D. 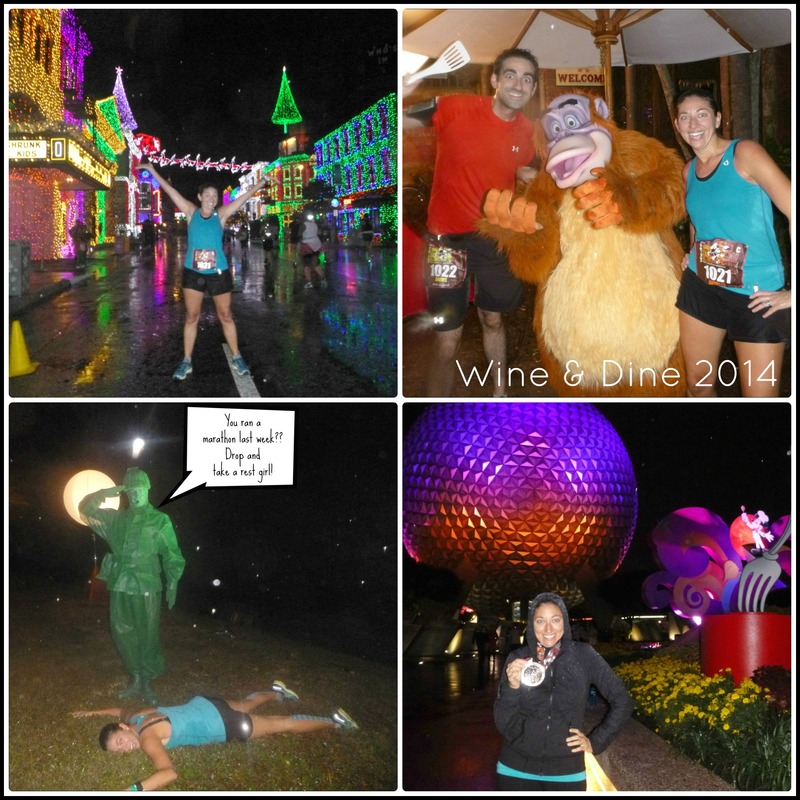 How could Doug NOT want to run a half marathon followed by food & wine?!? He CRAZILY would rather just skip the running part and go straight to the food & wine. Insane, I know. Whooo hooo!!!! Sounds like a Team #Shenanigans Meetup is in order! Tequila shots all around!!!! So exciting that Jason is going!! That makes me so happy! 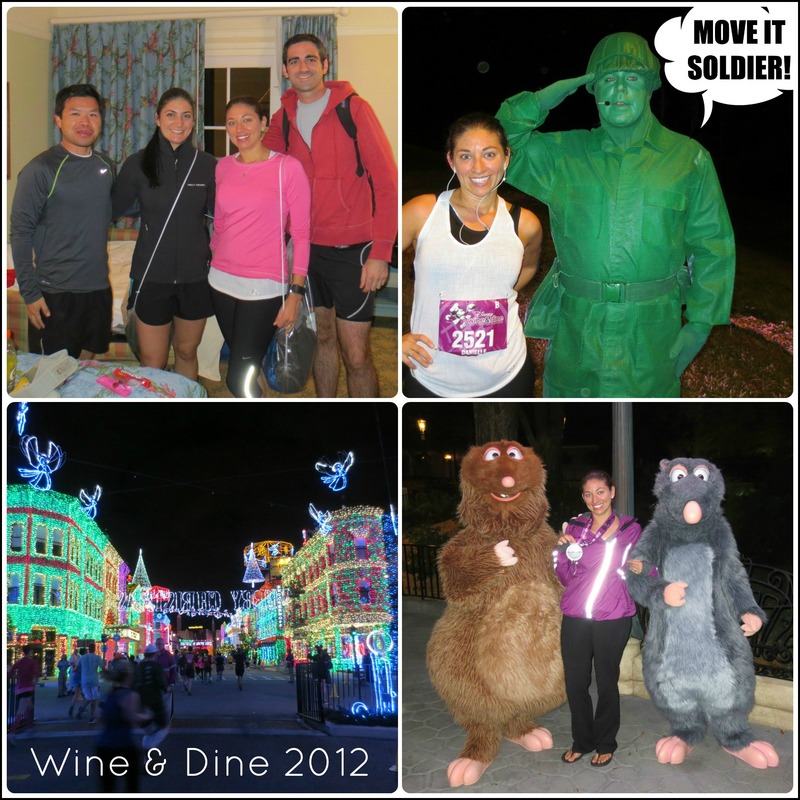 Wine & Dine 2011 is my anniversary race too–literally–since it’s the race where Phil proposed!! We had SO much fun when we returned in 2013 too. Hmmmm, maybe we’ll have to go back in 2015 too, keep up the every other year trend. Yes, I definitely think you and Phil should come celebrate your engagement anniversary this year! I’m so excited to share Wine & Dine with Jason! Make sure you’re ready and waiting at your computer! Good luck! How considerate of you to post these on a TX snow day! Settling in with my coffee and looking forward to reading them all! And I’m so glad I got in, too – hotel is booked and I’m already counting the days! I’m so excited too! Where are you staying?? Ahh so excited that you are going back for your happy race. We had the absolute best time at Princess this year, maybe our best one ever and it is our anniversary race at Disney! Yes, your Princess is definitely my Wine & Dine, I love going back every year and thinking about how far I’ve come! Woohoo! This looks like a great time. I registered early too!! These will be my first runDisney events (going to do the 5K in the morning with my 7 yr old!). I am beyond excited. I’ve gone a little crazy and signed up for lots of races between now & then but they’ll hopefully keep me on track! 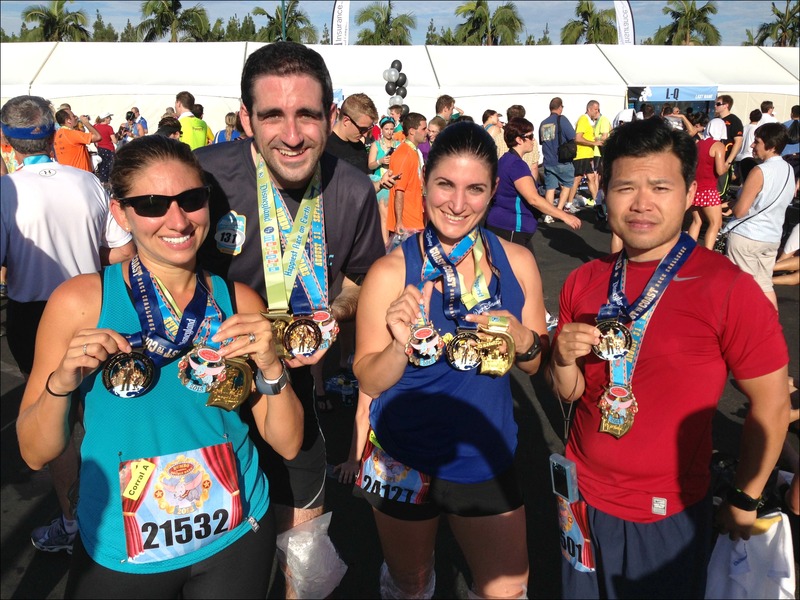 I look forward to meeting up with you – and lots of other running inspirations – while there, if not before! Yay, glad to hear you got in, you’re going to LOVE it! I am so excited for this race again. I ran it for the first time last year and ran it in the insane crazy rain and with the worse case of sciatica so I want redemption! However, I am definitely upping the ante by running the NYC Marathon the week before and also the 5k in the morning (I literally found out I got into the NYCM from the lottery an hour before registration opened-best day ever!) 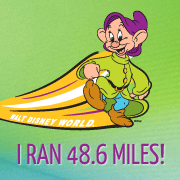 and am so excited to be bringing along a few of my BRFs for their first WDW half! I did NYCM the week before last year! It was tough, but I just took it easy during Wine & Dine (as much as I could being that I also wanted to run fast and get it over with in that rain!). I’m sure you’ll do great especially since you’re bringing some friends along! YAY!!! That’s awesome that you’ll be back again. W&D 2013 was a BLAST, and I’m hoping to register next week. I’m dying to run it again! Yay, I hope you get in!